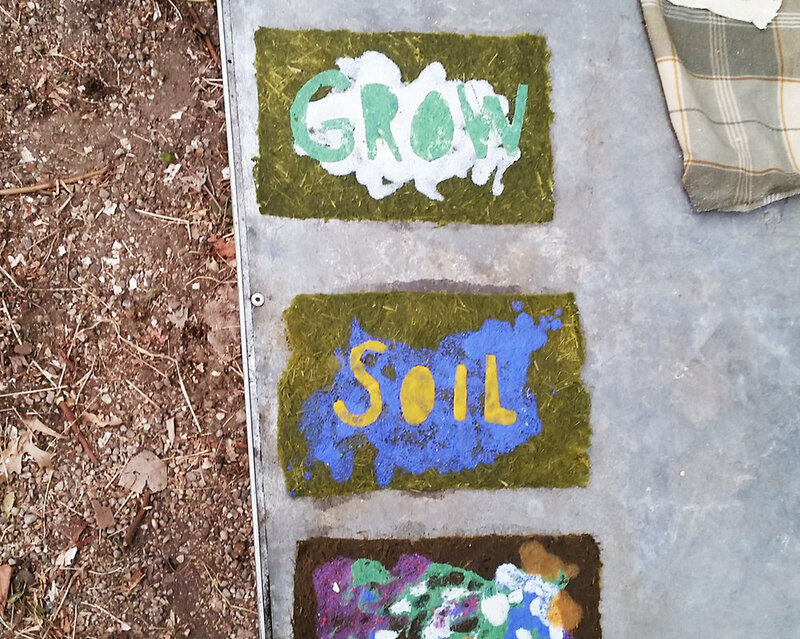 Pawtucket Paper is a project that incorporates arts, craft, and plant science education for the Galego Court and greater Rhode Island community. Through collaboration with the Southside Community Land Trust (SCLT) Galego Community Farm in Pawtucket, I am presenting a series of free public events and workshops on how to make handmade paper from the garden's weeds, the invasive Japanese Knotweed, and agricultural waste fiber. Part of after school nutrition programs at the Galego Court community center, students learn how to harvest plant fibers from the farm, cut them up, cook them, process them with blenders, and make sheets of paper. They also create ‘pulp paintings’, where one paints with different colored pulps, making paintings that are 100% paper. Volunteers during day-long events pull and process Japanese Knotweed, an invasive plant in the garden. Through hands-on demonstrations, volunteers make their own pure plant handmade papers from this waste fiber. Papers from spring 2017 were used for menu cards at a SCLT fundraiser dinner. I demonstrated papermaking from garden plants at the annual fall festival. Festival attendees get their hands wet, and make their own sheet of paper and stenciled pulp painting to take home.